Moxie plays a tasty selection of dance-oriented R&B, soul, funk, rock and beach music that everyone knows and loves. 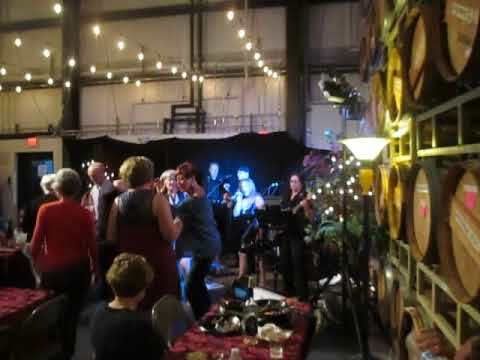 They are the perfect band for weddings, corporate and private parties, festivals, and clubs – wherever the goal is to get people on their feet dancing and having a great time. These five veteran musicians are professional and easy to work with to meet the needs of the client and the event. Moxie's performance is family-friendly and packed with songs that people will want to sing along with, from 60s and 70s classics to recent hits. Featuring a dynamic female vocalist, 3-part harmonies and tight musical arrangements, Moxie's sound gets the party going from the very first song. I don't have words to describe the excellence of our experience, not only in music, but with the heart that we experienced with Moxie. Each member of the band seemed delighted to be with us, and that bubbled over onto the people who attended. On this HOT June afternoon, these men and women played their hearts out, smiling, laughing and throwing their excellent music and joy all over the crowd. When I came into the office on Monday morning, the first words from the staff was, "WE'VE GOT TO GET THEM BACK!" And so, if they're willing, we certainly are. Thanks to the band members in Moxie for providing a wonderful day for our residents at the City of Albemarle Dept. of Public Housing. The day, thanks to you, was perfect! Moxie delivers a family-friendly performance that features classic soul, R&B, funk, pop, rock and beach music, from artists like Aretha Franklin, Gladys Knight, Stevie Wonder, Al Green and Wilson Pickett, to name a few. To mix it up a little, we also throw in some rock numbers, as well as recent soul-inspired hits from artists like Bruno Mars, Megan Trainor, and Pharrell Williams. Our playlist is packed with songs that people know and can sing along with. 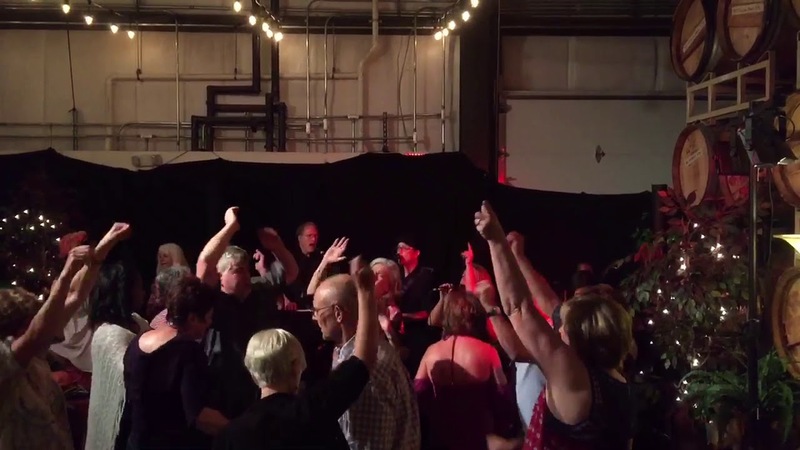 Whether it's a private party for 50 people or an outdoor festival for several hundred, Moxie puts on a professional show that gets people up and having a good time. For the event organizer, we are easy to work with and flexible in fitting the music in with other activities that might be planned. We are punctual about starting and stopping times and dress appropriately for the occasion. And we are sensitive to keeping the volume at a level appropriate for the audience and the venue. Moxie is a North Carolina band based in Greensboro/Winston-Salem that plays the best of classic and contemporary soul, R&B, funk, pop and rock music. Our playlist is packed with songs that people know and can sing along with, and is designed with one goal in mind – to keep people on the dance floor having a good time all night long. Staci McBeth’s soulful and gutsy vocals are backed by the tight, high-energy sound of bandmates Mike Howard (keyboards & vocals), Matthew Hedrick (drums), Alan Williams (guitar, sax & vocals), and Sal Burnette (bass & vocals). Featuring powerful vocals, tight harmonies and a high-energy rhythm section, Moxie's sound blends a funky and soulful groove with a rock attitude. 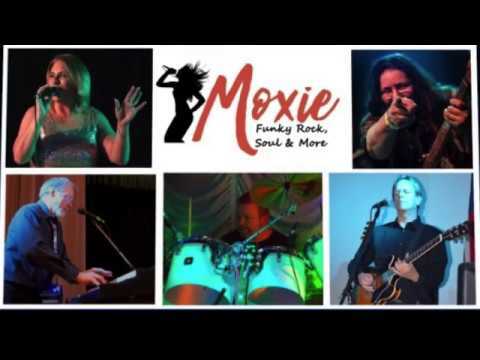 Bring your dancing shoes and come hear for yourself – it takes Moxie to make music this good! We prefer a 20 x 12 ft. stage area, but can fit in a smaller space if needed. If performing outdoors, a covered stage area is requested. We need a minimum of 1 hour for set-up and sound check. Our electrical requirements are basic. We will need access to two 20-amp or one 30-amp 110 volt electrical circuit. We provide our own professional-grade Bose p.a. system and stage lighting. A table in the audience area is requested for the sound engineer. We'll work with the client on appropriate placement of this table so as not to interfere with seating for event patrons. Our sound draws inspiration from a variety of genres, from rock to soul to funk. Our greatest influences are classic soul/r&b artists like Aretha Franklin, Gladys Knight & the Pips, Stevie Wonder, Wilson Pickett and Al Green. But we love the rock-tinged energy of artists like Delbert McClinton and Joe Cocker, as well as the soul of contemporary artists like Joss Stone, Bruno Mars, Pharrell Williams and Meghan Trainor. We do not require the client to provide any equipment.